When the road ends, the Jeep Gladiator is just getting started. 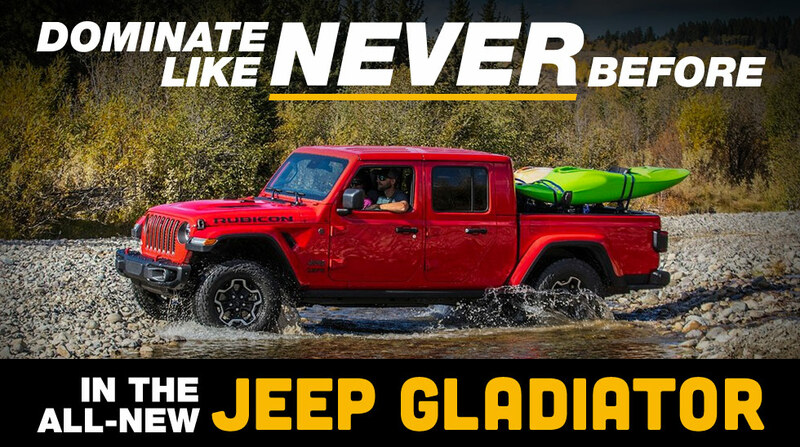 That's because the 2020 Gladiator is the only truck with the rugged, off-road soul of a Jeep. Powered by the V6 Pentastar engine, this built-tough beast delivers an impressive 245 horses and an athletic 260 pound-feet of twisting torque. The end result is a class-leading tow capacity of 7,650 pounds and a 4x4 payload of up to 1,600 pounds. But it's not just muscle. Not even close. 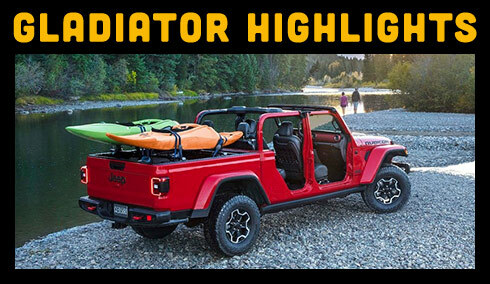 The all-new Gladiator has the off-road chops to deliver the unparalleled four wheeling performance found only in a Jeep. Not to mention, its iconic Jeep Wrangler-inspired grille and unmistakable athletic styling. The 2020 Jeep Gladiator will arrive at Crown Chrysler Dodge Jeep RAM of Dublin starting the second quarter of 2019. Stay tuned for more details and start getting your garage ready right now!